If you are in need of a relaxing and rejuvenating treatment that will leave you feeling refreshed and revitalised, then Hannah Rose Beauty, is the perfect place for you. Situated near The Courtyard Bar, the beauty salon gives you the perfect opportunity for a well-deserved holiday treat! To add a touch of history, the salon is located in the original Granary Barn that was used when Wooda was once a working farm. The Granary Barn was built in the 1800's and originally used for storing hay for the cattle. The building was then used as a grain store in the 1900's, providing grain for the Millhouse, situated just next to the barn. Today, there is no grain in sight, it has been completely renovated into a beautiful treatment room, providing a calm, tranquil oasis to relax and unwind. Hannah Rose Beauty is located adjacent to Sue Read Art and The Loft. Hannah Rose Beauty offers a range of luxurious treatments, from CND shellac manicures and pedicures to 30-minute express facials and back, neck and shoulder massages as well as aromatherapy massage and yoga. Mothers and daughters are also able to enjoy a perfect holiday treat as Hannah Rose Beauty also offers mini manicures perfect for under 12's. Hannah Rose Beauty works with two experienced therapists, Claire Strong and Claire Jennings. Claire Strong - an experienced beauty therapist specialising in making you feel great from top to toe! 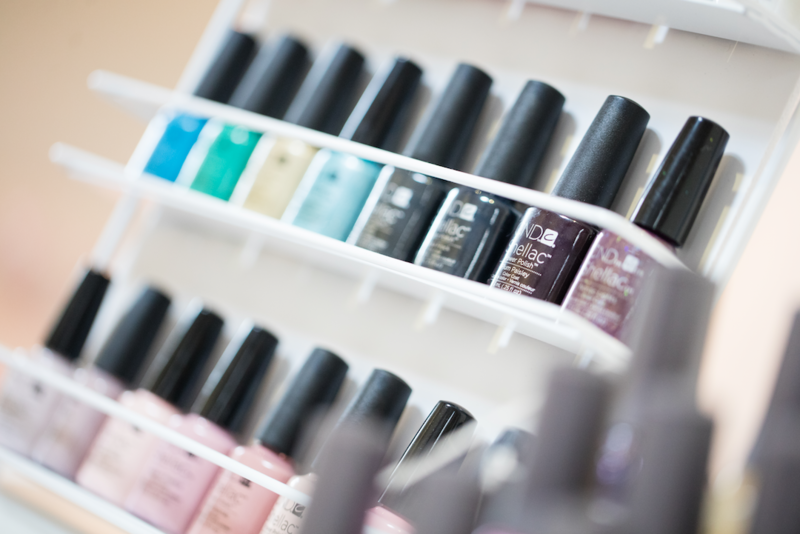 Offering a range of treatments from waxing, manicures, pedicures and massages that will leave you feeling radiant. Claire Jennings - brings a complete sensation of inner wellbeing. Achieving an integration of body, mind and spirit discover a treatment menu aimed to focus on you and your individual needs. Together they make a great team that brings peace to mind and body. APPOINTMENTS MUST BE BOOKED IN ADVANCE. 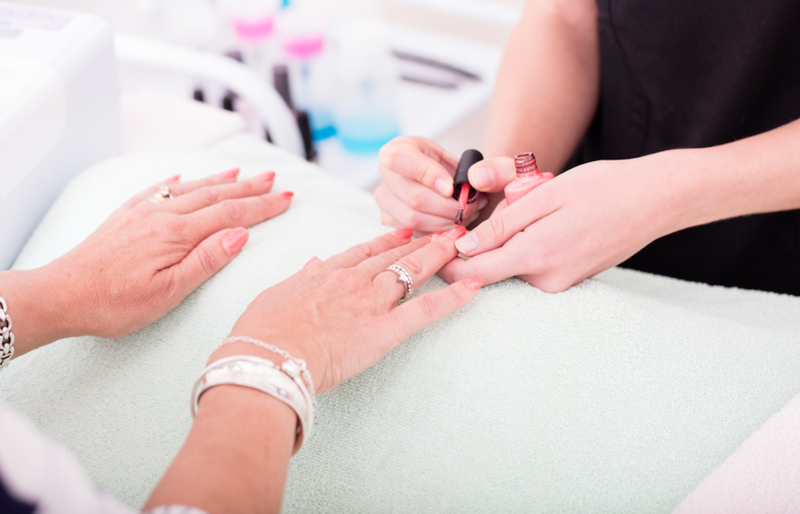 Please inform us if you need Shellac removal at the time of booking so we can allow extra appointment time. Vinylux finish – using CND Vinylux Polish the top coat becomes more durable with exposure to natural light, dries quickly and provides week long wear. Shellac finish – CND Shellac Gel your nails will be chip proof and long lasting. The most relaxing way to re-balance, rejuvenate and rehydrate. Suits all skin types. A complimentary scalp, hand or foot massage is given whilst the mask nourishes your skin. A deep cleanse exfoliation, either a mask or pressure point massage to the face, neck and shoulders, toning, moisturising and eye cream. Helps reduce dark circles, bags and fine lines. Improves circulation to the eye area and stimulates natural collagen production in the skin. Leaves your skin feeling revitalised and restored. Includes double cleansing, exfoliation, hot towels, a nourishing face mask, pressure point massage to the face, neck and shoulders followed by toning, moisturising and eye cream. Luxury facial using hot stones throughout the treatment to promote relaxation and reduce the stress. Release the stresses and strains of tight achy muscles, and eliminate toxins with a relaxing massage. We all hold tension in different places so this option allows you to tailor make your own massage choosing areas you would like to ease knots and awaken muscles. Baby Massage – Bring your little one to a private baby massage session. Learn everything you need to know about the benefits and routine of baby massage in a calming and relaxing environment. Mild oil and aftercare service provided. Indulge in 30 – 90 minutes of pure blissful relaxation. Aromatherapy massage is a soul soothing relaxing treatment infused with essential oils. Combined with massage techniques to soothe tired muscles and stimulate blood flow and drainage, the essential oils enter both the bloodstream and respiratory systems. All essential oils have therapeutic benefits, ranging from relaxing through to stimulating, anti-inflammatory to hormone balancing. The deep aroma helps to lift the spirits, and delivers a wonderful sense of happiness and wellbeing. Each massage uses natural essential oils that are freshly blended at the start of your treatment to help soothe tired muscles and stimulate blood flow and drainage. All essential oils have therapeutic benefits, ranging from relaxing through to stimulating, anti-inflammatory to hormone balancing. Please Note: Aromatherapy massage is not suitable for sun damaged, broken skin and alongside other medical conditions – please discuss with Claire prior to treatment taking place. Treatments can be carried out in the privacy of your own accommodation or at the tranquil treatment room at Hannah Rose Beauty. Please let Claire know where you would like your treatment to take place at the time of booking. Holistic means healing and considers the whole person including mind, body, spirit and emotions. Using traditional techniques the treatments below have been designed for optimal wellness, leaving you feeling energised and balanced.